Loofflighter, what is it? Is it a hair dryer on steroids or a great tool to start a barbeque fire? The Looftlighter is a product from Sweden that every barbeque freak must have. Well at least I wanted. 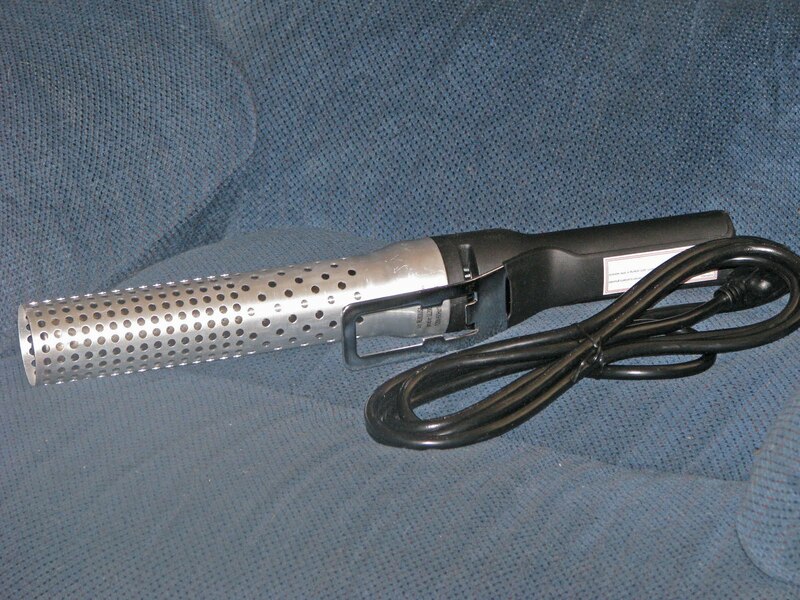 This device is basically a hair dryer on steroids. Flip the switch and a super heated stream of air, 1256 degrees to be exact, will flow and ignite your fuel.No more waiting around for that old fashion chimney starter. This product is good for the planet because it will replace that stinky foul lighter fluid. (Mad Meat Genius has been lighter fluid free for years). Instant fire for the barbeque pit will be a joy. Let’s turn on the Looftlighter and get our fire on. A small stack of charcoals briquettes will be our test fuel for today. Plug the Looftlighter in and hold the Looftlighter against the charcoal. Hold the switch on and within 30 seconds you will begin to see sparks. Back the device slightly away from the charcoals and the fire will spread. The image you see was taken 90 seconds from the start. For instant fire move to another spot and within minutes your charcoals will be lit. It was fast and clean. No more ashes blowing around from a chimney starter. Now, that's nifty! Good find! That looks great. I want to get one for Cranky for his birthday, but we don't live Swedenly. Zoomie, Fun stuff. It will clean you BBQ grill too. cookiecrumb, I can not believe you just said that. What would the Swedish Chef say? 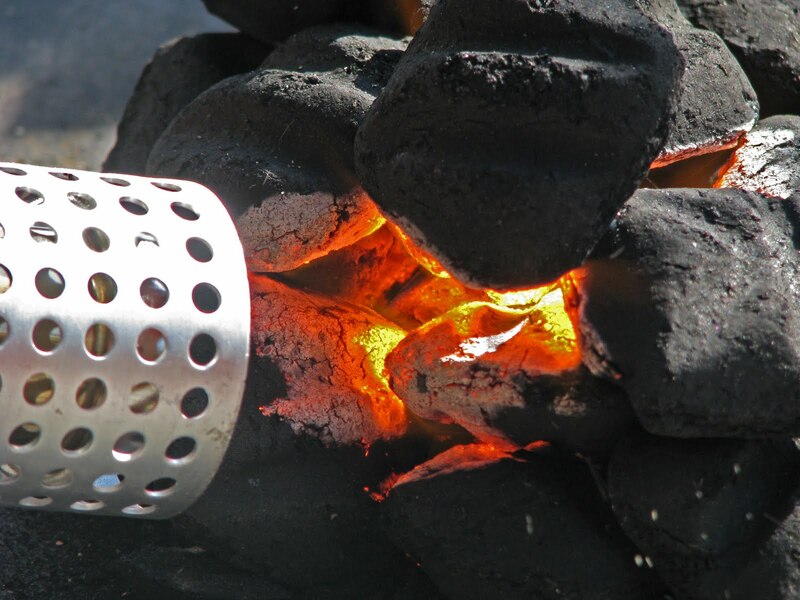 My MAPpro torch fires my lump up in 60 seconds but I wouldn't mind using this for when I'm lighting briquettes for my Smoke Hollow grill/smoker. Greg, You should not say that in the city.